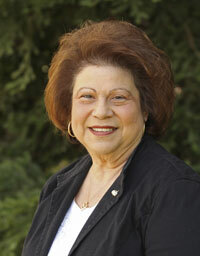 Genny, owner of El Dorado Hills Travel, has a life-long love of travel, and began her own travel business in 1984. Born and raised in the Bay Area, Genny began her working career at a family owned restaurant business in the community of Vallejo. Before moving to El Dorado Hills in 1981, Genny received her training in travel and worked for an agency in the Bay Area. She began her travel business in El Dorado Hills in 1984 from a small room in her home, specializing in cruises. Later moving her business to a storefront in El Dorado Hills Raley's Shopping Center, and now provides travel service to her clients. Genny is also accredited with the honors of MCC Master Cruise Counselor given by CLIA, Cruise Lines International Association. Serving as the 1996 Honorary Mayor of El Dorado Hills Chamber, Genny involves herself in numerous community organizations. She is the charter Director of the El Dorado Hills Chamber of Commerce, Past President of the EDH New Comers Club, and Past President of the Springfield Meadows Community Services District, Past President of The Village Square Merchants Association. Genny is also founder and Past President of the Gold Country Lodge #2705 Order Son's of Italy in America. 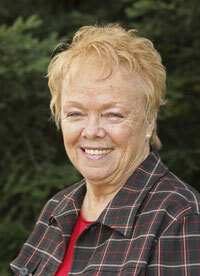 Pat joined El Dorado Hills Travel in September 1989. Pat and her husband enjoy RV and for that Special Vacation, cruising is their choice. She enjoys working with cruises finding that special place for you. Pat has raised 3 sons and 1 grandson, now getting ready to graduate from college. Becky Bodenhamer joined El Dorado Hills Travel in April 2014. She graduated from Braniff Education Systems in Texas in 1979. For the past 7 years she has called Cameron Park home. She has 4 grown sons and 2 grandchildren. In her free time she enjoys spending time with family and taking off with her husband on thier Harley and going on weekend getaways. So by Land, Sea or Air come see Becky and let her plan your next Travel Getaway. Angie Hassler, a Past Rotary International District Governor, completed all of her schooling in San Francisco where she studied to be a secondary education teacher. She received her degree but stayed on with the major retailer with whom she was employed at the time. She enjoyed a 21 year career in Human Resources Management; a 10 year career in the travel industry in the Bay Area; and has held various board positions with San Jose’s East Side Union High School District, San Jose Chamber of Commerce, BPW (Business Professional Women), Rotary International, as well as many travel-related organizations. 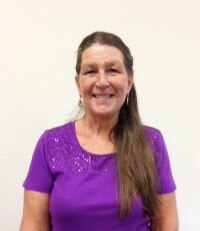 She currently is a member of the El Dorado Hills Newcomers Club, American Sewing Guild and Sew4Vets. She and her husband enjoy traveling and have been fortunate to visit all 50 states, all 7 continents, and 95 foreign countries. They have had the opportunity to host 9 foreign exchange students as well as many adult exchanges from around the world.